Christmas and my current trip north means that I’ll be taking a break from my six-part examination of New Zealand extinctions this week. 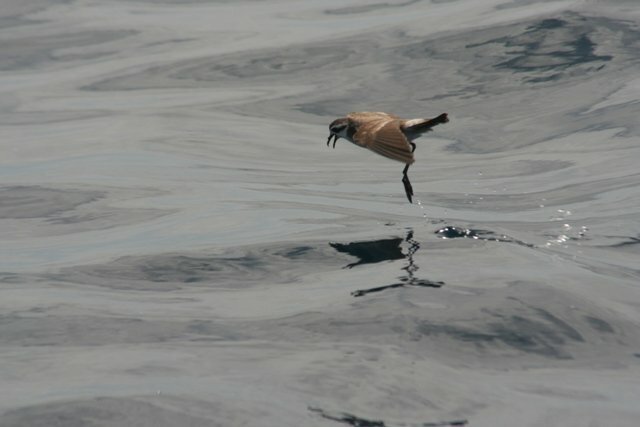 Instead in this relaxed time of the year I thought I’d share some photos from a pelagic trip I took last Wednesday. 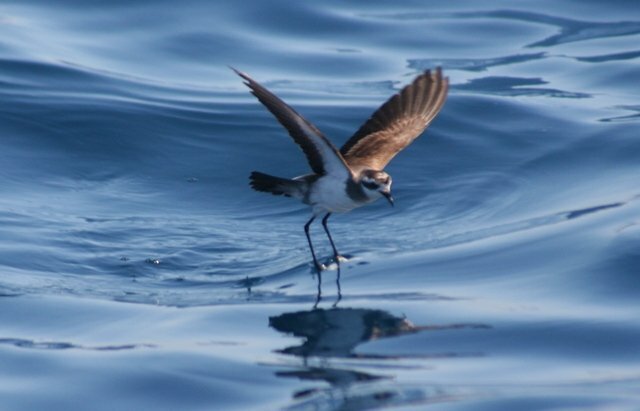 I’ll be writing a full story on the amazing seabirds you can see in the Hauraki Gulf off New Zealand’s Northland coast soon, but for the moment please enjoy the wonderful White-faced Storm-petrel. 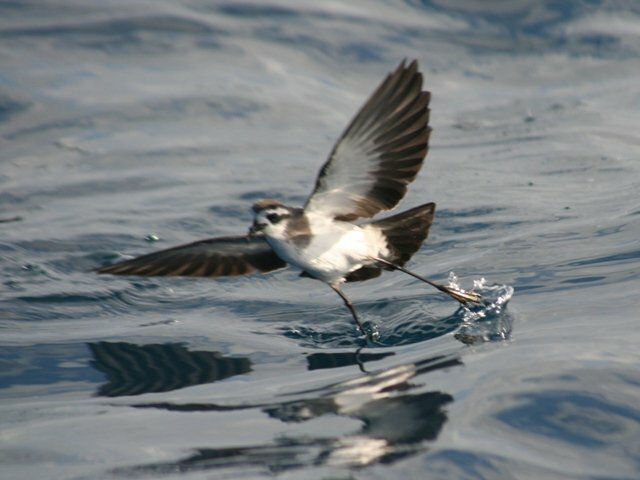 The White-faced Storm-petrel is a long-legged species of storm-petrel and the only member of its genus. 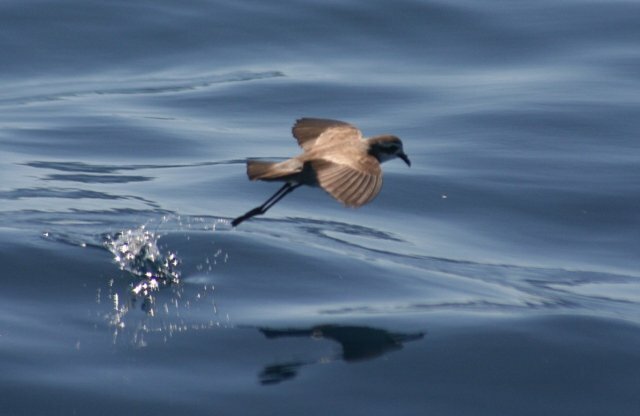 They have a unique variation on the storm-petrel surface pattering, holding their wings out straight and at an angle and using them to hold the wind, and then moving across the water’s surface with a series of bounds. This is different to the Oceanites method of fluttering to hover above the water. 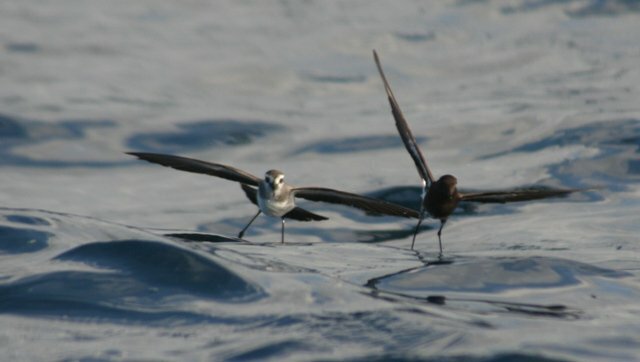 Side-by-side with a New Zealand Storm-petrel (Oceanites maorianus). 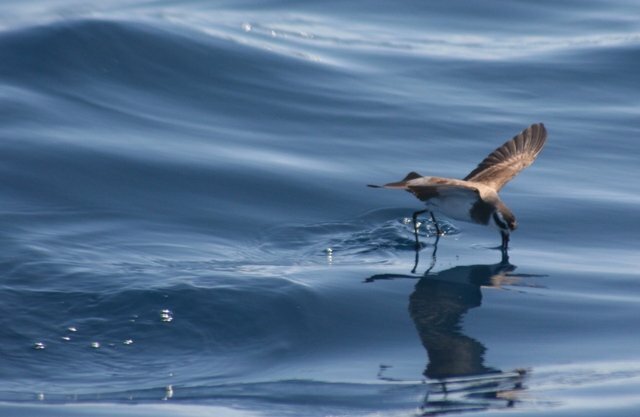 This critically endangered species is another highlight of pelagic trips off Northland. Such cool little birds. 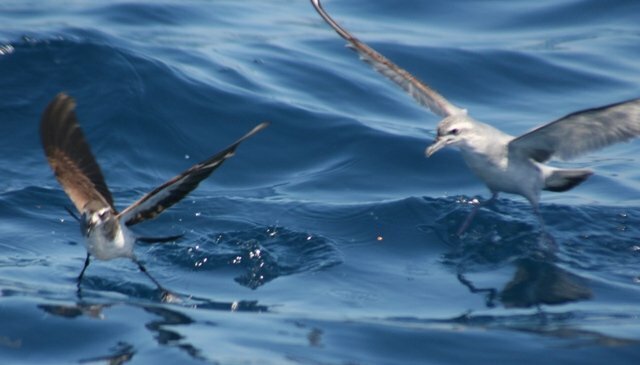 They show up in small numbers off the coast of North Carolina in late summer and our local pelagic outfit runs a special trip out to find them every year. I’ve not been able to make it, but it’s definitely on my list of things to do. Such charismatic birds, especially notable in such a charismatic family. They were all over the place here. 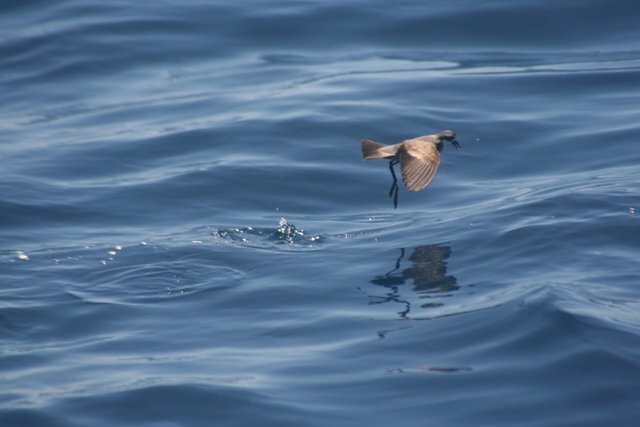 I’ve never seen so many storm-petrels off a boat before. Taking a White-faced next to a NZ Storm Petrel is just showing-off though (in a good way 🙂 ). I met Brett Stephenson at the Birdfair, incidentally, and had a chat about the rediscovery of the NZ Stormie – what a very cool and very nice guy!